Last Updated: March 24th, 2019 In the past few years there have been a few different furniture companies that really seem to catch the world by storm, and get tons of mentions online. One of these companies is is Palliser Furniture! Palliser has a huge number of products, and below I have included a quick table on my favorite Palliser furniture pieces! I hadn't really heard of Palliser's until I was looking at my local boutique furniture store, and I really did like the look, and I knew I had to do some in-depth research before I made the purchase. I spent a few weeks gathering reviews from online, and talking to some distributors to find their opinions, and then finally I pulled the trigger! Because this Canada based company has just so many options for furniture, I knew I had to provide you with some of my own Palliser furniture reviews to help point you in the right direction. I have owned both a recliner and a sofa by them, so that is mainly where I'll be focusing, but I will also get some experts to help fill in the gaps for products I haven't used personally! But without any further ado, here are my reviews! 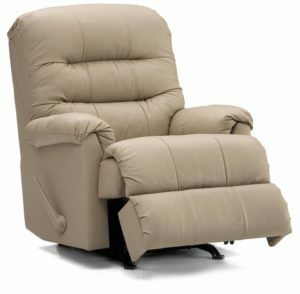 What is The Best Palliser Recliner? ​Because recliners are their bread and butter, I knew the first piece I would purchase by them would be a recliner, to truly get a sense for the quality of the company. I spent a few weeks looking at all the choices and asking around, I finally found the one for my living room! 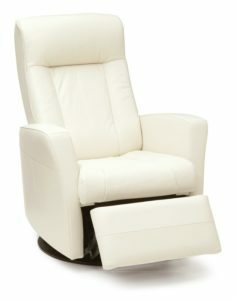 I ended up purchasing the Palliser Pinecrest Wall Hugger Recliner! I fell in love with the sleek black leather, and the tall backing. 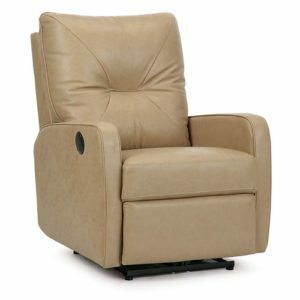 The great thing about this recliners is that it comes in a few different leather types, which include bonded leather, ​leather pic and protected leather. 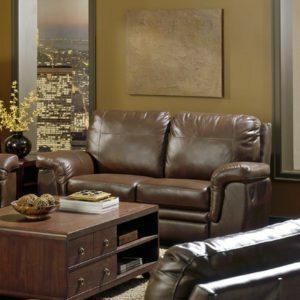 Along with this, this recliner comes in 5 different leather colors and 6 faux leather colors which allows you to pick the perfect one for your home! A Huge Variety of Colors and Leather Types. Height is 39 Inches, Width is 29 Inches, Depth is 38 Inches. Hand-Crafted Designed For Excellent Quality! 12 Gauge Sinuous Springs For Perfect Back Support! Manufacturer Warranty of 10 Years For Frame/Springs, 7 Years on Recliner Mechanisms, 5 Years on Leather/Foam, and 1 Year on Fabric. 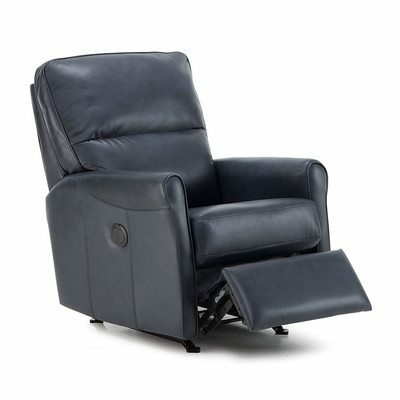 Overall the Palliser Pinecrest recliner is one of my favorite pieces that I have purchased through Palliser. I have owned it for around two years, and it might be a bit early to say that it is extremely durable, but I haven't had any issues so far, and the design looks amazing! 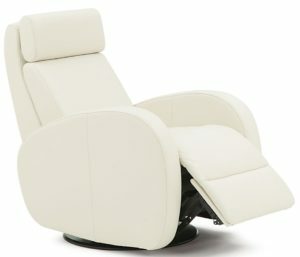 I would recommend it for anyone that is looking for a comfortable and modern looking recliner for your living room! 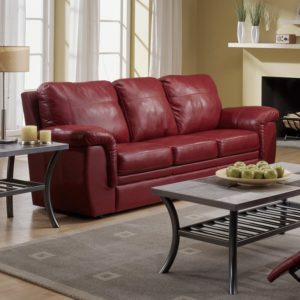 What is the Best Palliser Sofa? 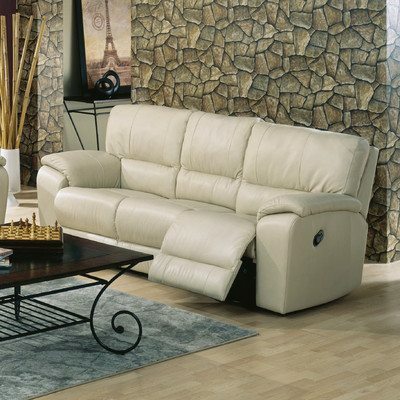 Although Palliser is known mainly for their recliners, they also have a huge selection of sofas! I was originally taken aback by the sheer amount of choices because simply on WayFair there are over 125 different choices! I spent sometime looking through all the choices and going to a few different distrusters to get a feel for the furniture before I made my purchase. 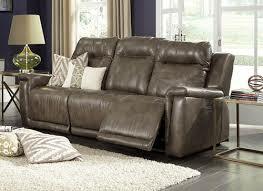 Finally I made my decision, and went with the Palliser Furniture Shields Reclining Sofa! This reclining sofa comes in a plethora of different colors which should help you match your living room style, and seamlessly enhance your room. Along with that, this three seated reclining sofa comes with both a manual recline option and a power recline option for a slight price difference. Featured in 12 different colored leathers! Custom-made and Hand-crafted in North America! Back features 12 sinuous gauge springs and the seat features 8! Back is filled with blown fiber for added comfort! This pub styled wall away recliner needs two feet of space from the wall. 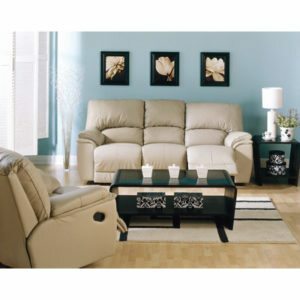 Seat cushions feature high resilience and high foam for added durability and years of comfort! 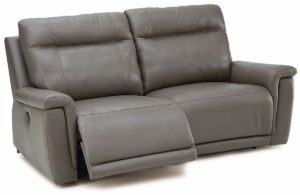 At the end of the day I absolutely love my Palliser reclining sofa, and I definitely suggest you take a look at all their options. I have owned mine for the past three years and I haven't noticed much of a decrease in comfort or looks as time has gone on. Along with this, it provide an extremely comfortable gathering point for my family and friends when I entertain, and it looks great doing it! Palliser was founded in 1944, and is a family owned company that is located in Winnipeg, Canada. Their motto is "My Home, My Style, My Way" which truly shows their commitment to helping their customers design their home exactly how they want it! All of their furniture is produced and manufactured in North America, and they focus on high quality furniture that their customers will love! One of every furniture buyers main concerns should be the quality of the product they are purchasing. Because furniture is no cheap buy, you really need to do your research on craftsmanship and durability. When I was first looking at Palliser I had to do some research to make sure I was getting quality worthy of the price. That being said, there have been some mixed reports of Palliser furniture quality. I spent some time scouring the web looking for people that have shared their thoughts on this companies furniture. I was faced with some consumers saying that the furniture was low quality and especially the arms seemed to fall apart within only a few months. Along with this, there are reports of poor customer service, and slow delivery times which has deterred some people from checking out Palliser. Because I think personal experiences are the best way to pass on information, I will share the other side of the coin. I personally own two different Palliser pieces, the recliner and the sofa I mentioned above, and overall my experience with the quality was positive. I ordered my two pieces sperately at WayFair, and shipping took about three weeks for both orders, which was mentioned during the order process. Overall I have had great experiences with Palliser, and I really do enjoy the two pieces that I own. 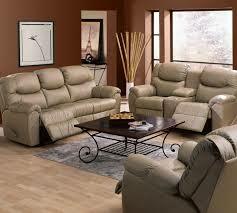 I love that their leather sofas and recliners are extremely comfortable and actually have some firm support to them. I love that they come in a huge number of colors which made it extremely easy to find some that went with my modern styled living room. In the end of the day, I urge you to do your research and find a piece that you truly love! I hope you have enjoyed my Palliser furniture reviews!